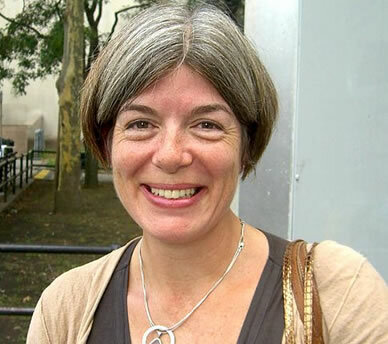 Claire Messud is a novelist and literature and creative writing professor. 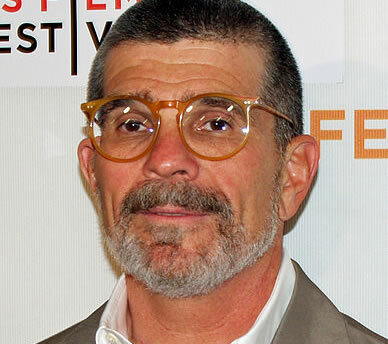 David Alan Mamet is a playwright, essayist, screenwriter and film director. 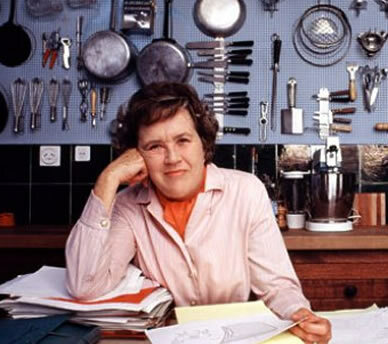 Julia Child was an American chef, author and television personality. She is recognized for bringing French cuisine to the American public with her debut cookbook, Mastering the Art of French Cooking. Julia Child used Clairefontaine notebooks for receipes and notes when she was living in Paris and studying at Le Cordon Bleu. Clairefontaine notebooks made a cameo appearance in a movie about Julia Child—"Julie & Julia." At the request of the film's prop master, the archivist at Clairefontaine provided notebooks with the notebook covers of the period for Meryl Streep, who played Julia Child. Jeff Abbott is a suspense novelist. Several of his books have been optioned for films. 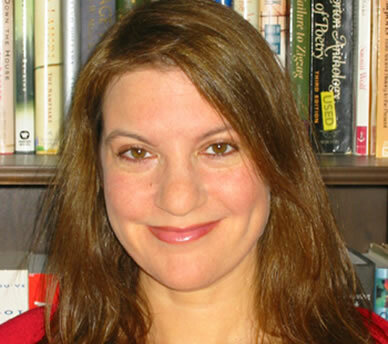 Susan Jane Gilman is a novelist and journalist. Her books include Undress Me in the Temple of Heaven, Hypocrite in a Pouffy White Dress, Kiss My Tiara and The Ice Cream Queen of Orchard Street. 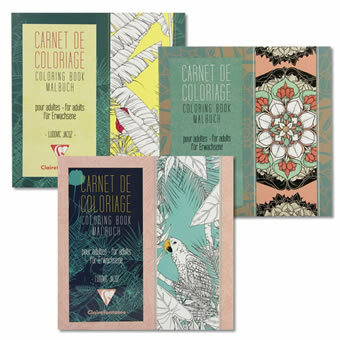 "For whatever it's worth, my 'drugs' of choice these days are great little French notebooks with graph paper and Omni rollerball pens." Paul Benjamin Auster is an author and director. 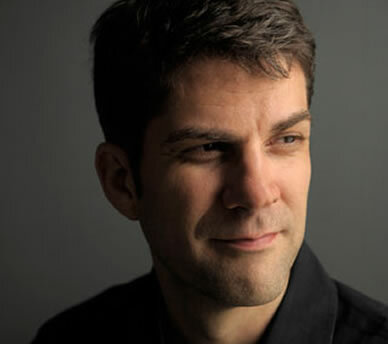 "I can say this, I have never been able to compose on a keyboard. I need a pen or a pencil in my hand, feel that it's a very physical activity. When I write, words are literally coming out of my body. 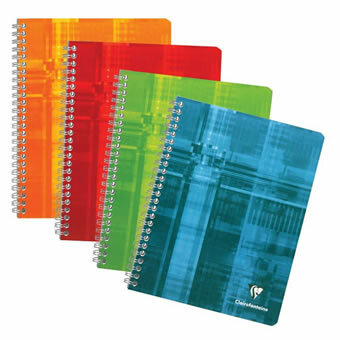 I'm very particular about my notebooks, and 95 percent of the time they are the same kind of notebook:: They're made in France and are very tall—Clairefontaine brand, 24 x 32 centimeters. 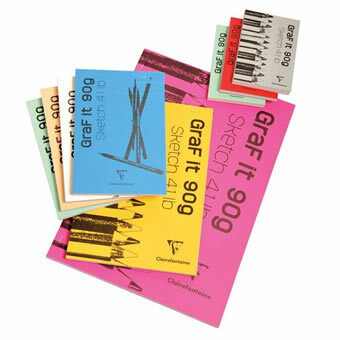 They're filled with pages of graph paper, which I like, as my handwriting is rather small." 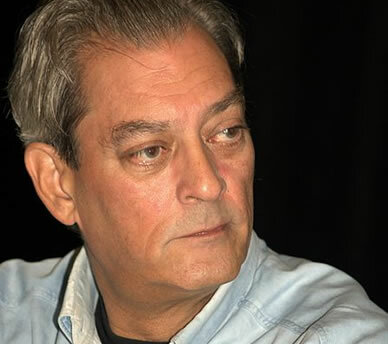 Goodreads.com interview with Paul Auster in November 2010. 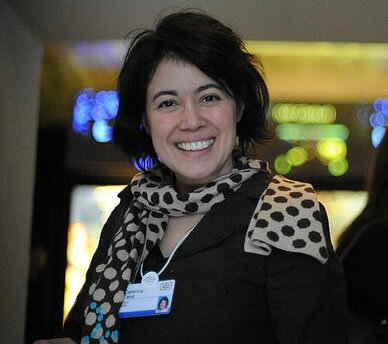 Caterina Fake is an entrepreneur and businesswoman. She is best known for co-founding Flickr and Hunch. She founded and is currently CEO of Findery. "I like pencil and paper, probably more than most people in tech. I use a Field Notes 80 page steno notebook for taking notes, and a Clairefontaine 4.5" x 6.5" notebook for my to-do list. I like to number each thing I accomplish, and when I get to the end of the notebook, the number of things I have done is close to 5,000. In my current To-Do list I am at task #603. I admit to sometimes adding things I have already done, and then crossing them out, for an extra frisson of accomplishment. I am also a pencil snob, and am an aficionado of the Palomino Blackwing 602. I make a lot of mistakes and use the eraser a lot, so I have eraser replacements, too." Interview by Tessa Miller on Lifehacker "I'm Caterina Fake, and This Is How I Work" – August 15, 2012. "What apps/software/tools can't you live without?" 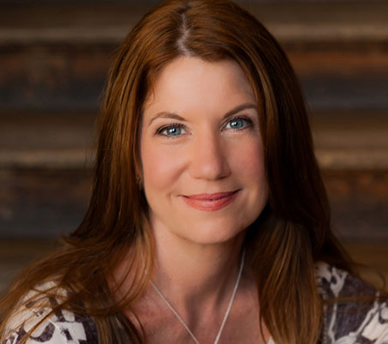 Susan Wiggs is a best selling author of historical and contemporary romance novels. In "Passing Through Paradise" she created a heroine who uses Clairefontaine notebooks and peacock blue ink. This is no surprise, since the author herself always writes her first drafts with a special fountain pen, peacock blue ink, and Clairefontaine notebooks with graph pages. "Each one of my 50+ books started out in a Clairefontaine." 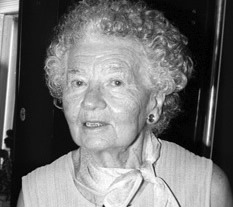 Lillian Ross is a journalist and author who has been a staff writer at The New Yorker since 1945.